APPEARANCE: Have you ever danced with the devil in the pale moon light? No, well neither had I until I started pouring this devilishly black beer from the bottle. I popped the cap and heard a slight hiss like a demon coming from the depths. Slowly pouring the bottle the beer takes control and begins to dictate how fast it wants to be poured. Filling up the glass inch by inch and producing the smallest mocha colored head that just floats lazily atop the beer. AROMA: As soon as I popped the cap and heard the hiss, it was followed by a massive attack on my nostrils of vanilla. Not just any vanilla, but intense Madagascar vanilla beans. The nose on this stout is absolutely incredible, there is no way to deny that this is a vanilla infused beer. After shaking off the beauteous sent of vanilla you can start to pick up the hints of bourbon, oak from the barrel, cocoa powder. Don’t get me wrong this is 100% a vanilla bomb of aroma here. TASTE: If my mouth was a steam locomotive and vanilla beans where the fuel source that would be close to the flavor you get from the first sip. Continuing on down the Fundamental tracks you begin to indulge in fresh gooey brownies sprinkled with walnuts and warm toasted marshmallows floating in bittersweet hot chocolate. Next stop is bourbon town with a few of the barrel flavors jumping on board. Ever so slight heat is there, followed by figs, currants, dark chocolate, molasses cookies, and black licorice. Pulling into the station the beer comes around to remind you that this is a Madagascar Vanilla bean beer, that combined with a bit of vanilla picked up from the barrels really interlocks all the flavors and pulls this beer together so nicely. MOUTHFEEL: If you ever licked the chocolate cake batter off of a beater then you will get the mouthfeel on this. It doesn’t just coat the tongue it envelops the whole mouth. Combine that with the lazy carbination and you have a real deal sipping beer on your hands. The finish is long and creamy with vanilla sliding its way down your throat. OVERALL: This beer is in my top 5 beers I drank so far this year. Its been called the Vanilla Rye killer, 100% agree it blows VR away in my opinion. I’m a huge fan of vanilla and this hits all the right buttons. I will put it out there that this is my favorite BA or non BA vanilla beer in any style that I have ever had, if you have one that you think could knock this one off the top please tell me! RATING: As much as I try not to give out perfect ratings I cant find any reasons not to. 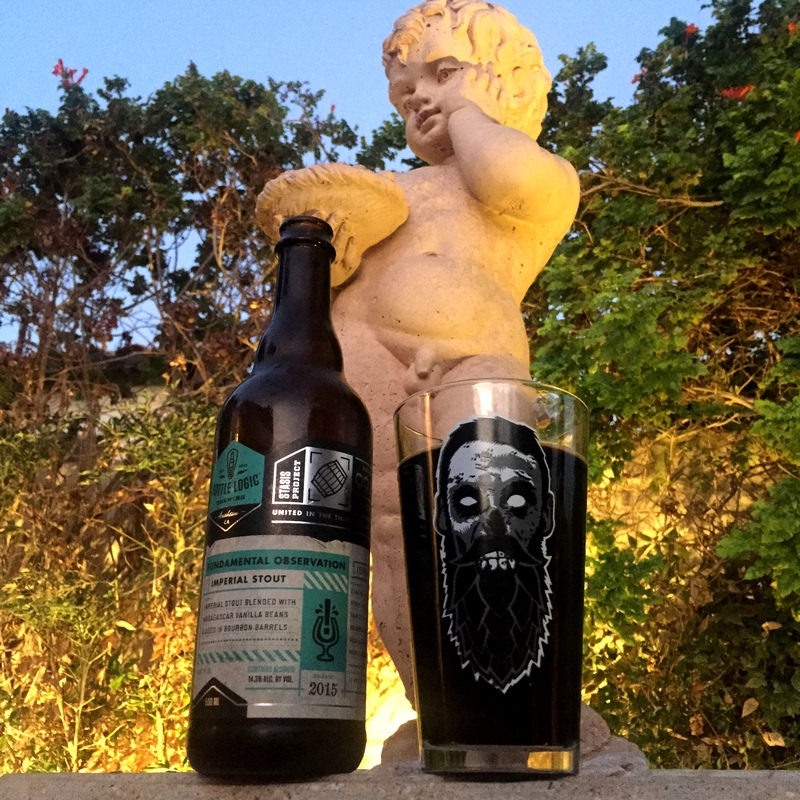 This entry was posted in Beer Reviews, Stouts/Porters and tagged #beer, #stout, barrel aged, beer zombies, bourbon, craft beer, IMPERIAL STOUT, Madagascar, sd beer, vanilla, vanilla bean, vanilla rye by beerzombies1. Bookmark the permalink.